Wrong turns, humiliating flops, painful heartbreaks--and happiness? Yes, believe it or not, they "can "go hand in hand. Blogger and author Mandy Hale, affectionately known as "The Single Woman" to her half-million social-media followers, is living an adventurous life that proves even our lowest lows and messiest mess-ups can point us toward our joy-filled destiny as single women. 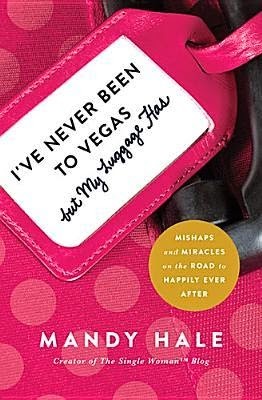 In "I've Never Been To Vegas," " But My Luggage Has," Mandy delivers heart-to-heart, often hilarious stories from a life filled with love and loss, glamour and goose bumps, faith and friendship, big dreams and battle scars. She shares the bittersweet euphoria of her high-school romance, the panic-stricken cluelessness of her first day on a stressful job, and the foot-in-mouth horror of her red-carpet interview with a music legend. Along the way, Mandy dollops personal anecdotes with encouraging insights. From thrilling first kisses to crushing break-ups, from soaring career milestones to promising flights that never quite got off the ground, she unfolds in often uproarious detail the zigzags along the path toward a pinnacle moment: sharing a table and a pinch-me-I'm-dreaming conversation with her lifelong hero. In the end, Mandy turns Sin City's infamous marketing slogan on its head: What "happens" in her life doesn't "stay" in her life. She shares even her darkest moments in witty, winsome ways that make us not only feel her pain, but also laugh with her and apply her hard-won nuggets of inspiration to our own lives. "Happily Ever After" might not look or feel quite like what we expect, but as Mandy is discovering--and as we can discover along with her--it is "well" within our reach. Blogger turned hit author Mandy Hale is affectionately known around the world as “The Single Woman.” With a heart to inspire single women to live their best lives and to never, ever settle, Mandy cuts to the heart of the matter with her inspirational, straight-talking, witty, and often wildly humorous take on life and love. 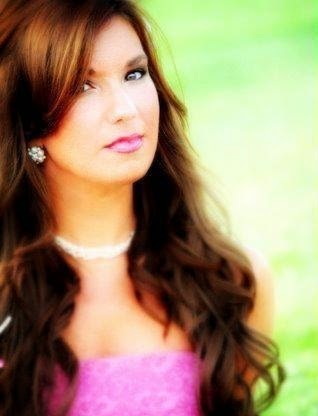 Mandy’s message reaches millions of women across the world every day through her blog, Twitter, and Facebook. Invited by Oprah to cover her “Lifeclass: the Tour” events in St. Louis and New York City as part of OWN’s “VIP Press Corps” in 2012, and featured at the Women of Faith conference in Hartford, Connecticut, Mandy has also been named a “Twitter Powerhouse” by the Huffington Post, a “Woman of Influence” by the Nashville Business Journal, and a “Single in the City” by Nashville Lifestyles magazine. She has also been a featured in Forbes magazine, the Huffington Post, and on Glamour.com. With followers from all over the world, Mandy has made a name for herself as the voice of empowerment and sassiness for single women across the globe. This girl is just awesome. She is so open and honest and I felt like I was right there with her in all the trials, humiliation, and even the successes. 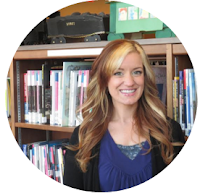 If you've ever read anything from Melanie Shankle, you would also adore Mandy Hale. Actually, I think the two could totally hit it off as BFFs (if they're not already). This isn't necessarily a "self-help" book. Actually, it's more like the kind of book you would read just to know that you're not the only one walking through life confused and trying to figure out your place or "destiny." It is also a reminder that if you look back at all the messy pieces of life, chances are you'll see why everything happened the way it did and how it was necessary to achieve where you are right now. Unlike her blog or other books, it wasn't just a book for the single woman. It could easily apply to anyone. I give this 4 stars because although this is an enjoyable read and can inspire the reader to press on and trust that everything holds its place within a grander scheme, there were many moments where I was almost becoming confused right along with her. One moment she wanted to "Kiss Dating Goodbye," then she thought it was important and a vital experience to self-growth. However, it still turned out messy because while single, she can regard God in the journey, but during her dating life it seemed she'd forget that detail. I can't judge her writing entirely on her personality, because I can relate to many aspects of this, however, there wasn't a resolve to this at the end. This causes me to think that perhaps this book would have been more helpful if it was simply about her career choices and the relational experiences were significantly minimized. Fun read. Inspirational. 4 stars.